Inside: Funny & sweet baby shower quotes for cards and parties. We are in baby shower planning season. It always seems this time of year our friends start growing and the baby showers start flowing. 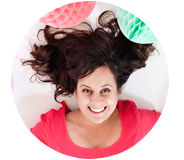 Here are some of my favorite quotes for making your next baby shower sweeter. Use these quotes on cards, letter boards, banners – really anywhere to make the day more special. And in case the mom-to-be already has kids, try these hilarious happy Mother’s Day quotes to make her day. There is nothing sweeter than a baby shower, so it is cause for that certain kind of sweet gush not normally tolerated among my friends. Here are some of the sweetest ways to say hello to a new baby. 1. So tiny, so small, so loved by all. 2. Rub a dub dub a new baby to love. 3. Oh baby it’s a wild world. 5. Let me love you a little more before you’re not so little anymore. You know that mom-to-be is feeling a little stressed by this point. Why not give her a giggle with one of these funny baby shower quotes put up on a letter board (this one is my favorite) at home. 6. Parenting: The hardest thing you will ever do. 7. Mama in the making… please stand clear. 8. Kick me baby one more time. 9. Peeing on a stick & then preserving that stick is just the start of the many disgusting things you’ll do as a mother. And for those moments, when everyone wants a collective…. awwww. Pull out a framed watercolor photo of the ultrasound and attach one of these more sentimental baby shower quotes. 11. A baby fills a space in your heart that you never knew was empty. 12. Babies are such a nice way to start people. 13. A baby makes love stronger, the days shorter, the nights longer, savings smaller, and a home happier. 14. A little bit of heaven being sent down to earth. 15. Twinkle twinkle little star, do you know how loved you are? 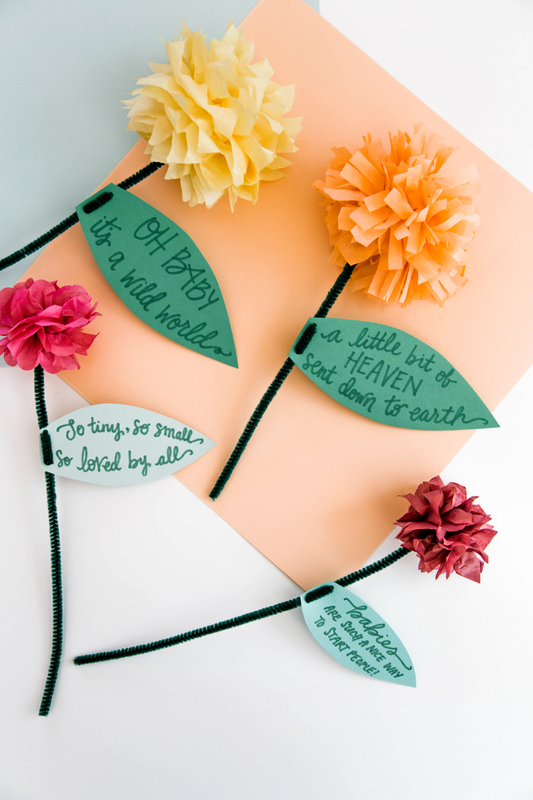 If you’re looking for a cute way to introduce a quote into the next baby shower, these paper flower place cards are a great way to do it. 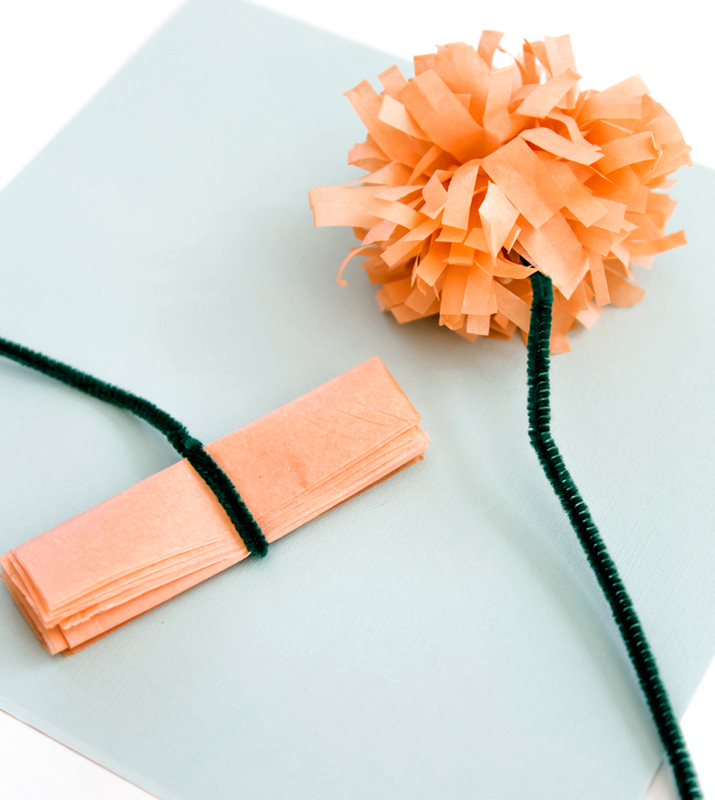 Follow our tissue paper flower directions for the perfect little pom pom flowers. Attach a green pipe cleaner as the stem. 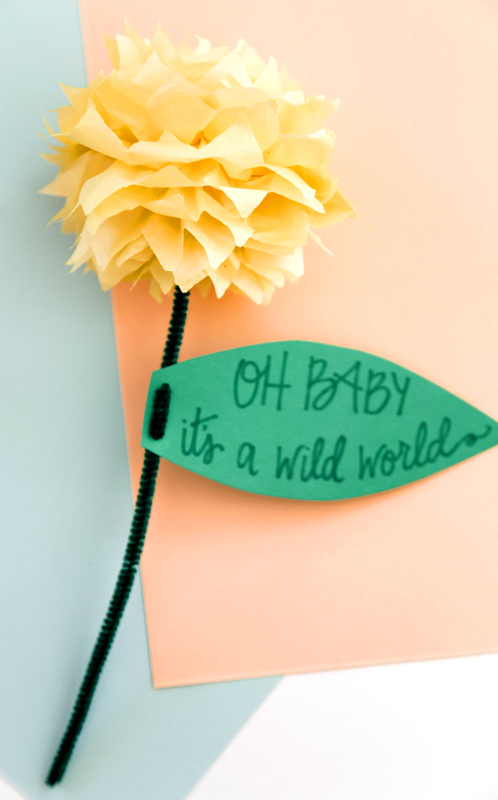 Once the pom pom flower is puffed out, attach a small green leaf with your quote of choice and the baby showers guests name on the other side. 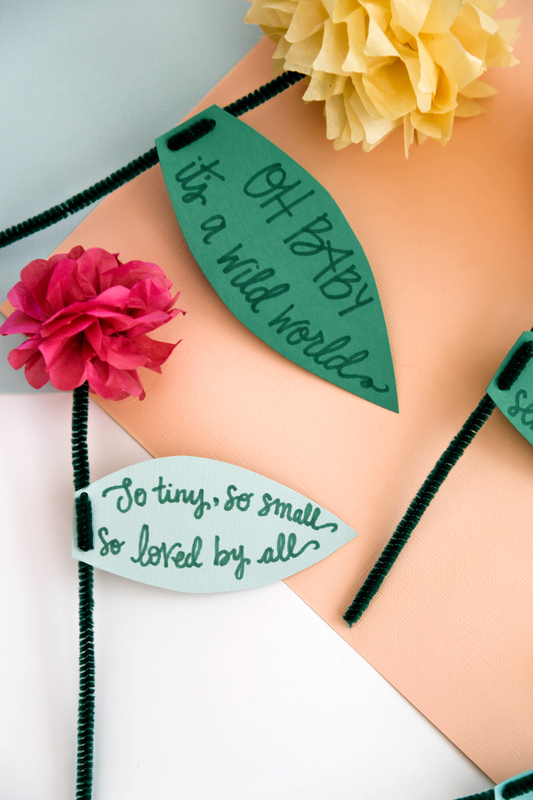 Use these cute baby shower quotes along with the DIY flowers for setting a table the mom-to-be will adore. PS. 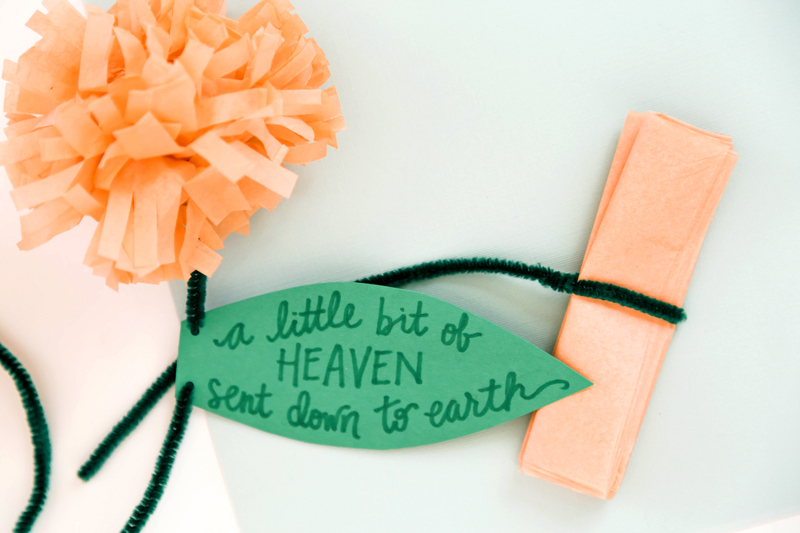 These would be sweet at a honeycomb baby shower & the cutest ideas for a baby shower gift.